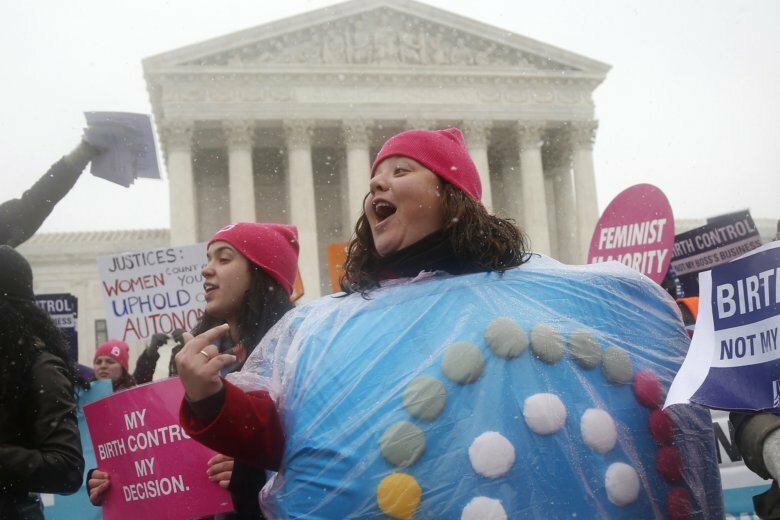 WASHINGTON (AP) — Millions of American women are receiving birth control at no cost to them through workplace health plans, the result of the Obama-era Affordable Care Act, which expanded access to contraception. “Plans were covering Viagra, and they weren’t covering birth control,” said Alina Salganicoff, director of women’s health policy with the nonpartisan Kaiser Family Foundation. By the time President Barack Obama’s health law passed in 2010, employers and insurers largely began covering birth control as an important part of health care for women. The ACA took that a couple of steps further. It required most insurance plans to cover a broad range of preventive services, including vaccinations and cancer screenings, but also women’s health services. And it also required such preventive services to be offered at no charge. It’s estimated that 55 million to more than 62 million women now receive birth control at no cost, with only a small share paying for contraception. “The irony I find about this battle is that in the period of time this policy has been in effect, teen pregnancies have gone way down and the number of abortions has gone way down,” said Kathleen Sebelius, Health and Human Services secretary under Obama. The Obama administration originally exempted a narrow group of employers — houses of worship— from the birth control coverage requirement. Following pushback from religious institutions and social conservatives, the Obama administration created an “accommodation.” Women employees of religious-affiliated social service organizations, universities and hospitals could continue to get birth control as part of their health care coverage but their employer would not have to pay. That didn’t go far enough for social and religious conservatives, a core component of President Donald Trump’s political base. Some religious organizations see Obama’s “accommodation” as morally objectionable because it facilitates contraception. “It still forces religious people to provide a health plan that includes things that violate their religion,” said Mark Rienzi, senior lawyer for the Becket Fund for Religious Liberty, which led opposition to the Obama policies. The Trump administration’s regulations broadened the religious exemption to any employer with an objection based on religious beliefs and created a new exemption for certain employers with moral objections. The administration made Obama’s workaround optional for employers and instituted other changes. “It’s definitely not a tweak,” Sebelius said. An employer can say “I don’t believe in birth control, and I’m not going to provide it,” she added. Sebelius explained that Congress through the ACA clearly intended health plans to cover women’s health services. All HHS did was spell out how that would be done. If the Trump administration wants to change that, it would have to repeal the law, she added, not just change a regulation. Rienzi said the Trump administration hasn’t pulled its policy “out of nowhere.” U.S. laws traditionally have protected people with religious and moral objections to government policies. More than a dozen states are trying to reverse Trump’s policy, including California, New York, Pennsylvania and New Jersey. The Justice Department hasn’t revealed its next move. It could ask federal appeals courts or the Supreme Court to lift the injunctions from lower-court judges and allow the Trump rules to go into effect while the cases continue. The issue could eventually end up before the Supreme Court, which has become more conservative since the last time it considered the ACA’s birth control coverage requirement. But women’s rights groups say there’s no real way to know.